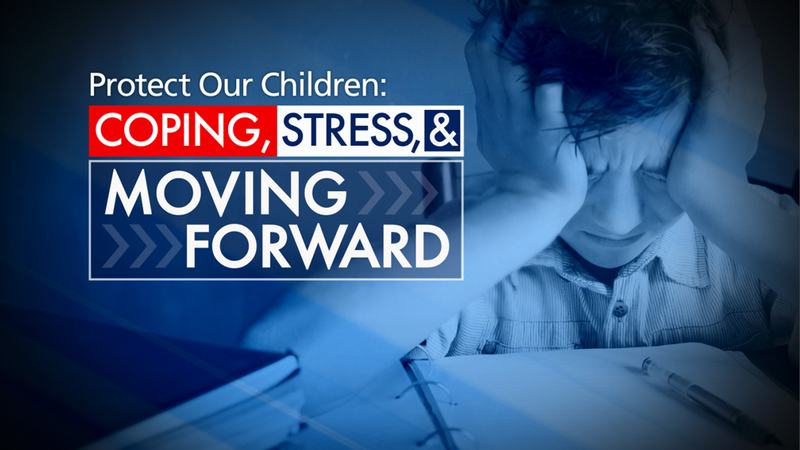 NEW YORK -- "Protect Our Children: Coping, Stress and Moving Forward" describes what experts are referring to as an epidemic of stress-related problems plaguing our children. It's not easy being a kid these days and the American Psychological Association says one in three teens is stressed. Doctors report they are treating kids as young as six for Migraines & Ulcers. The Special features young people dealing with the trauma caused by severe physical injuries. We profile a young man who suffered a stroke & a resulting Traumatic Brain Injury last year and is still undergoing treatment & rehabilitation at Helen Hayes Hospital. He and his family continue to access the Brain Injury Association of New York State to develop community resources and emotional support. We also learn why concussions need to be taken seriously as a young Ice Hockey player talks about her two Concussions, and her Doctor at New York Presbyterian, Weill Cornell describes what is most difficult for these youngsters. Unfortunately children with mental disabilities & neurological disorders often have to deal with additional unnecessary stigma. Meeting a 17-year-old high school junior on a mission to educate others about Tourette Syndrome, he's clearly a leader and a powerful advocate. Finally being diagnosed in 6th grade was a relief for him & he continues to be treated at Overlook Medical Center's Neuroscience Institute. We also feature a family with three children, including a 5th grader with ADHD & a 7th grader coping with the stress filled process of applying to High School. Their open acknowledgement of these issues is refreshing as they continue to be treated at the Child Study Center at NYU Langone Medical Center. Youngsters are not immune to the economic pressures experienced by parents, and we bring you a 10th grader coping with the trauma of ending up in a shelter with her mother and two siblings. Their spirit is amazing as they strive to overcome dire economic & health issues as clients of Island Harvest Food Bank. Being able to afford college is a huge hurdle for low income families, and even if they gain admission, many never complete their Bachelor's degree. NYC Outward Bound Schools are dealing with the problem with great success. We meet four seniors at Brooklyn Collaborative School, and three of the four are the first in their families to go to College while two live in Public Housing. These seniors truly give us hope for the future as they head off to schools like Cornell, Muhlenberg and Pitzer. Finally, we also report on the good news that Destiny Butler who we reported as missing last year, is now on her way to college and doing well.